Graduates of Assam can apply for ASTC Job in Assam 2017. Govt of Assam has published this notification for various posts under Transport Department for eligible and interested candidates. Please read this article till the end to know details eligibility criteria, application process and selection process for Assam ASTC job. 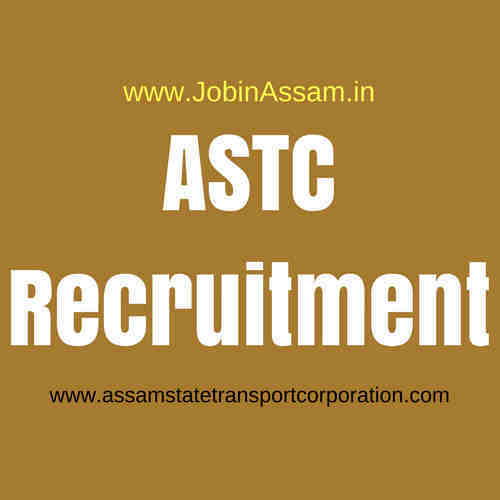 Candidates of ASTC Recruitment 2017 must have the degree of BE / BTech. (Mechanical / Automobile) and well conversant with modern innovative technology with the capability to maintain and supervise the heavy passenger vehicles. Candidates having Master of Business Administration (MBA) degree will be given preferences. Application process for this job is Walk-In. All candidates are requested to report at 10:00 AM and register their names by submitting a typed copy of personal bio-data and photocopies of all relevant testimonials in support positively for ASTC Recruitment 2017. Last Date to Apply: 03/10/2017. Candidates having the requisite qualification can appear for ASTC Recruitment 2017 walk-in-interview on 03.10.2017 from 10:00 AM onwards.